How much I love Alex and Ani bracelets may start becoming a problem for my wallet but sometimes I just can't resist. Walking in there is like walking into a candy store. There is so much to choose from and like Veruca Salt, "I want it now". There was one charm I was patiently waiting for so when I heard it was here, of course, I had to run down to Newbury and scoop it up. It is the Elephant charm by Charity by Design. I adore elephants and how they can bring you luck. "Extraordinarily protective, elephants are known to stand up for others encouraging the values of camaraderie, perseverance, and unity. With a trunk up for luck, wear The Elephant Charm to inspire others to pursue their passions and embrace the power of teamwork." How adorable? Not to mention that 20% will go to Friends of Jaclyn, an organization in which athletic programs adopt children with pediatric brain tumors to provide them with love, support and lasting friendships. Now that the warm weather is here, it's time to break out those stiletto's and wedges and pair them with your favorite skinny jeans. I have found the perfect pair. 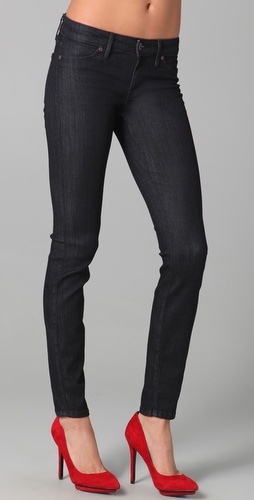 Rich and Skinny Legacy Jeans have the built in pockets I love without all the bulk and come in a wearable, treated color. The inseam of the ankle is the kind of skinny a girl wants in this style and I hate excess fabric when I'm trying to tuck into a boot. Get yours now! I am so bummed because I ordered this awesome headdress from Urban Outfitters to wear to my Neiman Marcus event only to find out, it arrives Monday. I have looked around for similar but could not find any and that could make it in time. I guess I'll have to come up with someplace else fabulous to wear it to! I believe in little coincidences even in the fashion world. My friend Emily started wearing the cutest bracelets or so I thought. Turns out, they are hair ties; a huge trend in Malibu. She told me how a small company out there started them and she would bring me back some on her trip this week. As I said earlier, I went to the Blog Better Boston conference Saturday and in the gift bag was a similar version from Alex & Isabelle. They are two friends who a few years ago, started dabbling in creating the perfect hair tie as a project with their two young daughters, Alex and Isabelle (also best pals). I, like Emily, enjoy wearing them as bracelets! A set is $10. After the awful power outages Boston suffered last week, my fabulous event with Neiman Marcus is back on! 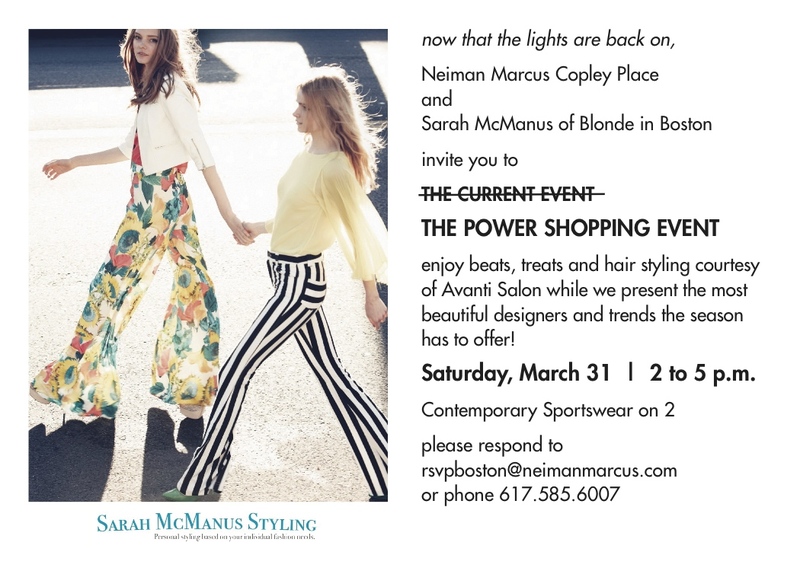 Please be my guest and enjoy Spring trends, music, drinks, styling by Avanti Salon and more this Saturday, March 31st! 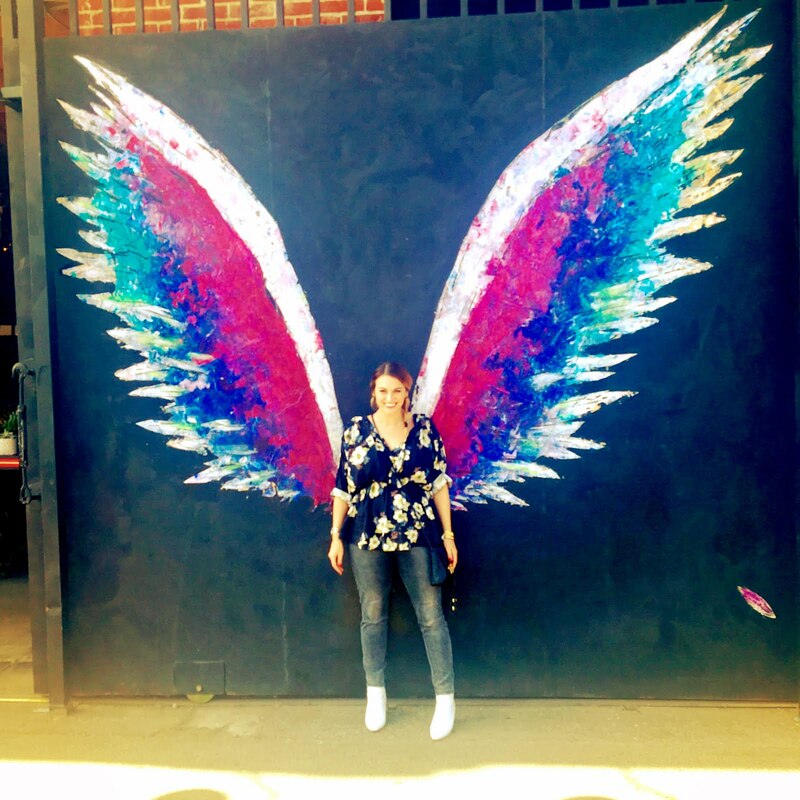 I would love to meet all my readers and talk some fashion! I am very excited and will see you there. As you know, I got a sneak peak of the Gilt Warehouse Sale on Friday night! I was extremely excited to see what I would find. Of course, I arrived second even though I am always late for everything else. Amongst my finds, a Badgley Mischka bag and Winter Kate top, was this adorable Rebecca Minkoff Stud Companion Bracelet. How cute is this little pouch? Perfect for my trips to the South End Buttery and walking the dogs, I also love the fire engine red color. The best part is I purchased it at the cool price of $19 down from $119. Thank you at Gilt City! With the warm weather here, it was the perfect opportunity to start posting outfits again! 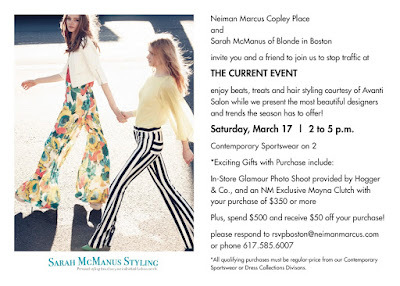 This is just something casual on a sunny day to meet a friend for lunch at the South End Buttery.